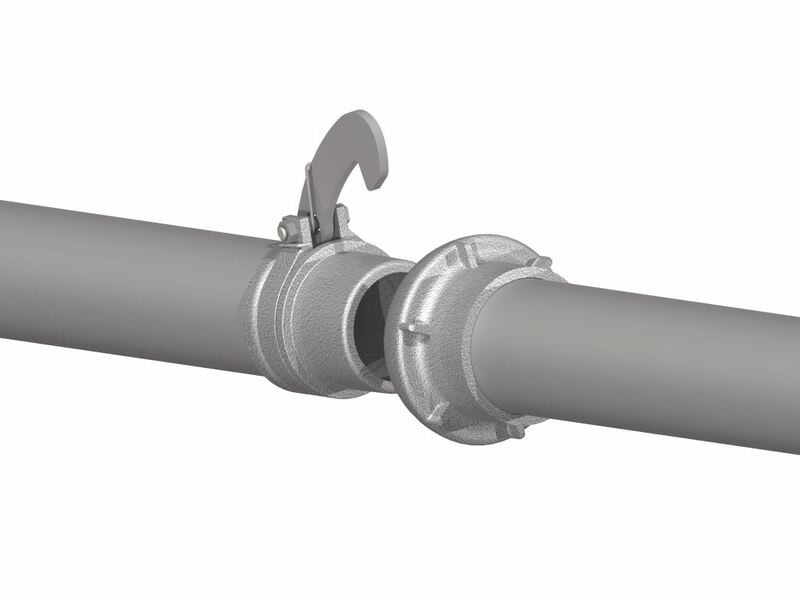 We have recently launched a new coupling called ‘rotating’ coverage set system in diameter 50mm. This patented new system is specially recommended for the transport of corrosive liquids. Each time we mount and dismount a pipe, thanks to a ring and to a rotating latch, they allow us to have the guarantee that the pipe will be installed in a different position from the last time taking the ground axis as reference, so that we guarantee that the suspended solids that are the ones that cause oxidation are not kept in the same point but in all the inner circumference of the pipe. This is just the opposite from the pipes that have an only hook position, where they remain always in the same place and causing a quickly oxidation.